A well-stocked bar includes a good variety of whiskey. Typically, this means at least one bottle from each of the five basic styles of whiskey. While that can cost a lot of money, it doesn't have to. It is entirely possible to stock your home bar with a decent selection of whiskey for just $100. You simply have to choose the best of the least expensive brands available. While they may not be top-shelf, they're still good whiskies that allow you to enjoy a variety of cocktails. Bourbon will be one of the workhorses in your bar. It can be enjoyed on its own or in a cocktail, and there are many impressive bourbons to choose from. 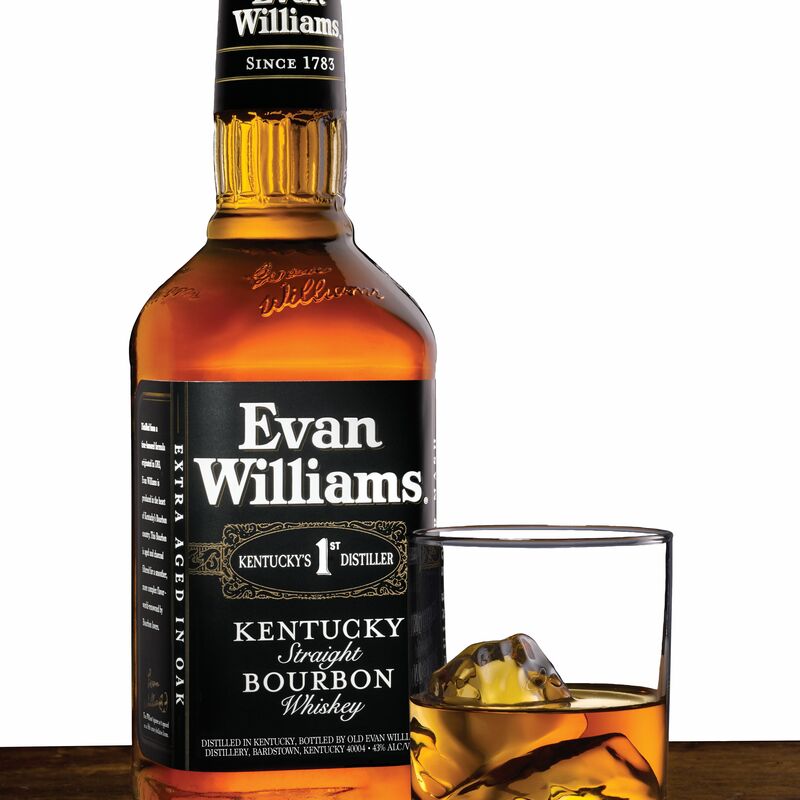 Topping our list of affordable bourbons is Evan Williams Black Label. It is one of the best values on the market and you can often pick up a bottle for just $12. In this bottle, you'll find a flavorful whiskey that can stand up to any mixed drink and, for the price, is pretty decent straight. It's hard to find a good American rye whiskey that sells for less than $20. That's why we're going to take some of the budget to spend a little more in this category. Rittenhouse 100 Proof Bottled-in-Bond Rye Whiskey is one of the best ryes you'll find. It has a great spice and is a whiskey you will not forget. At about $29 a bottle, it makes one of the best Manhattans and rivals many of its higher-priced competitors. Plus, this is such a popular bottle, it's often on sale. When you want a whisky cocktail that is ultra-smooth, turn to the blended whiskies from Canada. 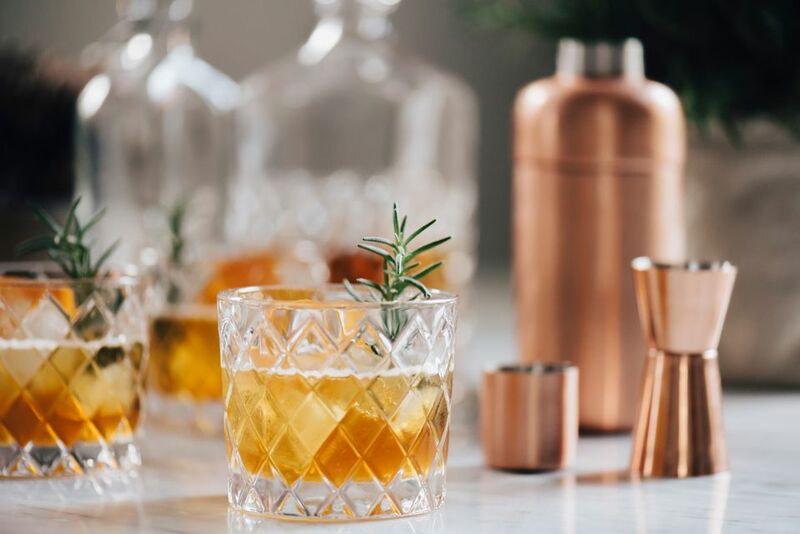 These are often the most versatile for mixed drinks because they have a softer profile than other styles. Coming in at right around $12 in almost any liquor store, Canadian Mist is the best of the Canadian value brands. It's the whisky for people who enjoy vodka and rum, but even whiskey drinkers have a hard time arguing against its mixability. The Irish whiskey market does not have many brands or labels to offer anymore, but having a bottle in your bar is invaluable. The holdouts have a lot to offer and one of our favorites is also among the least expensive. Good, old-fashioned Bushmills Original Irish Whiskey is the bottle of choice and it will run you right around $24. If you like an Irish coffee every now and then, this classic will produce one of the best and it's a great addition to any bar. You will notice that we're only recommending blended scotch whisky and skipping the single malts. In general, the blends are more affordable, so they'll help you stay in budget, while producing some great drinks. Often forgotten, we're going with Ballantine's Finest for our affordable scotch pick. Compared to others in the $17 price range, it is the smoothest and most mixable. Many people even say it's sweet, but it's complex enough to hold its own in any scotch cocktail.